It was my privilege today to lead the Earthquake commemoration at The Bricks beside the Barbadoes Street Bridge. It’s the third time I’ve done this, representing the Avon Loop Planning Association who host this annual event. After a brief introduction, I sounded a gong for two minutes’ silence, then a piper played Abide with me while we threw our flowers into the river, remembering the changes the earthquakes brought into our lives, and thinking of our hopes for the future of our city. This area of the river has special significance for both Maori and Pakeha. It was the site of the pa of Tautahi for whom Otautahi/Christchurch is named. On the other side of the bridge is Te Wai Pure, a sacred stream which flows into the Avon, and which has been used by Maori for ritual purposes since Tautahi and his wife Riki were married there. The Bricks cairn marks where the Deans brothers landed because their boats couldn’t go any further and this whole area was the focus of early Pakeha settlement. It is also where the tidal waters of the estuary meet the fresh waters of the Avon, a fitting symbol of the bi-cultural heritage of the Avon Loop. The effects of the earthquake eight years ago are still being felt by many of us, especially children as an article in today’s Press describes. People who came to The Bricks appreciated the opportunity to be part of a low key commemoration and to come back to the Community Cottage afterwards for refreshments. 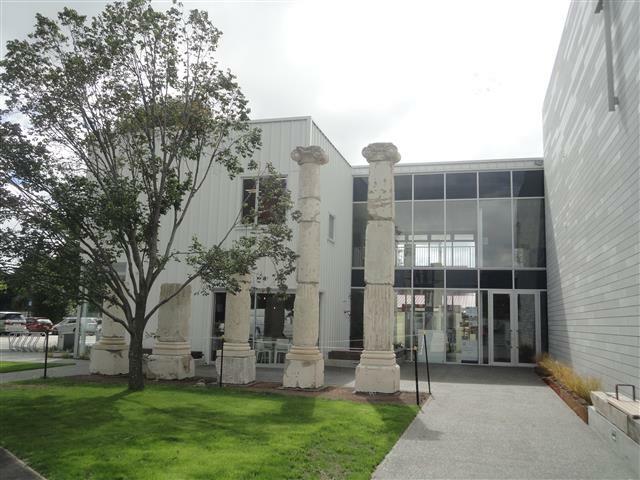 Two innovative inner city schools, Discovery 1 and Unlimited Paenga Tawhiti occupied a central city site until the building was destroyed by earthquakes. The two schools have merged to become Ao Tawhiti Unlimted Discovery, and will return to the central city in early 2019. Thier new campus is currently under construction at the corner of St Asaph and Colombo Streets. In adjacent Mollett Street the students have designed a creative hoarding called ‘Homecoming’ Different classes created works to hang on the stave ‘like washing on a line’. It’s good to know the school will soon be back taking advantage of all the learning opportunities the central city can offer. This is an amazing book about an amazing family. Chessie covers the story from the birth of her parents, through an African honeymoon, isolation in the Tokelaus, the experience of major earthquakes in Christchurch and Kaikoura, and the family’s determined support of each other through many challenges. Much of it is set in places that are familiar to me. The chapter on the Christchurch earthquake makes breathless reading and brought back many memories. Reading about the feeling of fragility that lingers after the trauma made me wonder whether I should be reading this at all. Another theme is the overwork and stress of G.P.s, especially rural ones, together with the difficulty of admitting when one is facing burnout and needs help. The whole book gripped me. I am in awe of the skill and understanding displayed by the young author and wonder what she will choose for her next subject. The Rose Historic Chapel in Colombo Street has reopened after earthquake repairs, and the public was invited to visit this afternoon. I remember walking past in March 2011, when earthquake damage meant you could see right through the building. Today it looked as good as new. Apparently someone painstakingly collected all the pieces of coloured glass and the exquisite stained glass windows, reputedly some of the best in Canterbury, have been lovingly restored. I especially like the one that’s dedicated to the memory of the Gardner family. I have fond memories of taking weddings in this chapel and it was good to visit today and sit and listen to Helen Webby playing the harp. There were crowds of people and I’m sure the chapel will again be popular for ceremonies and concerts. It’s wonderful that one of our historic buildings has been brought back. 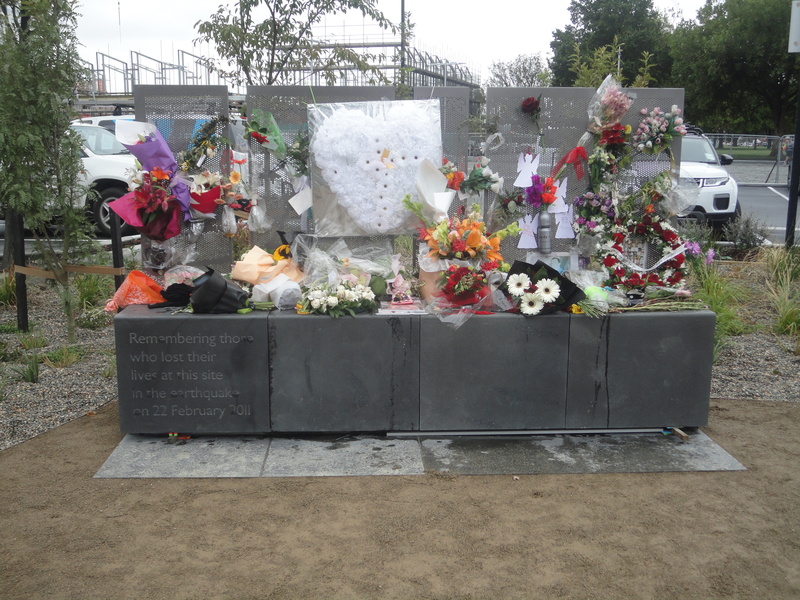 The memorial garden on the CTV site has now been completed. 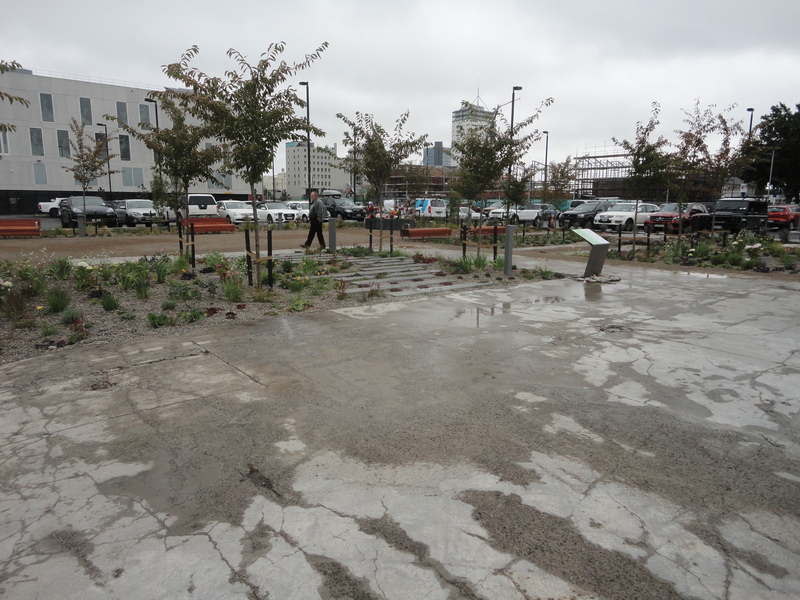 The families of the 115 people who died here were able to have their thoughts and wishes included, and it all looks very appropriate, with cherry trees, a place for mementoes, and discreet lights for nighttime. I like that they’ve left some of the original surface and carparks. With the 185 white chairs just across the road, this area has far more meaning for me than the bland national memorial by the river. 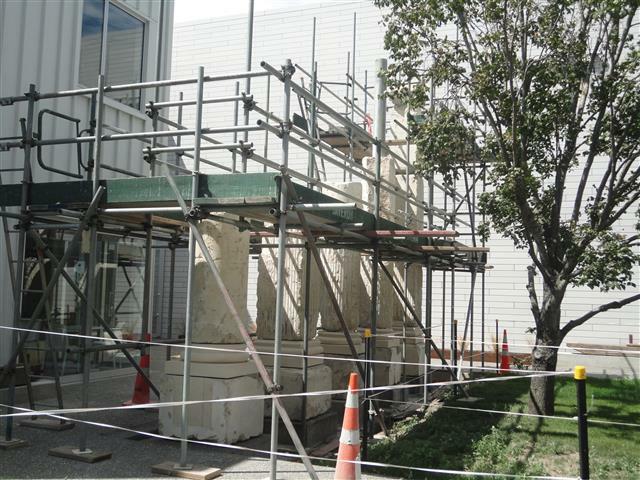 Last week there was scaffolding outside the new Oxford Terrace Baptist Church while they were setting the old pillars in place. Today it’s all complete and ready for the official opening this afternoon. It’s good to see the pillars back, even if there’s only a few of them.